It wouldn’t be an MMO without mounts, and Elder Scrolls Online delivers them along with several unique mechanics and features. In TESO mounts aren’t only used for traveling, but can also be fed various food which improves their stats like run speed or endurance. Horses can also expand your inventory enabling you to carry around more trash with you, so in this post we’ll take a closer look at them. 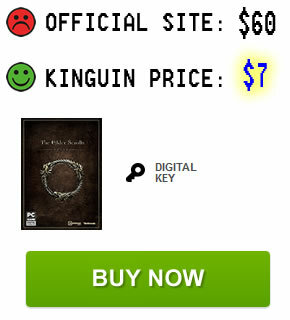 Imperial Horse can only be bought by players who pre-ordered the Imperial edition of the game through the official site or various retailers. Other mounts are fairly expensive for new players, as even 17,200 gold required for the cheapest Common Horse can take time to accumulate. Speed: increased speed is self-explanatory: higher movement speed on a horse means it gets you places faster. Many players recommend not buying the Common Horse at all since it has only 10% increased speed, so you may want to think purchasing a Light Horse right off the bat. 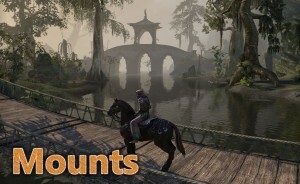 The other mounts are unfortunately more expensive and you will have to save even longer for one, but it might be worthwhile in the end. Don’t forget, feeding your horse costs gold (explained below), so it can be a smart decision to save enough gold to simply purchase a Light horse first. Stamina: stamina determines how long your horse can gallop (sprint) and how much damage you can take while riding one without being dismounted. Carrying Capacity: horses don’t have an inventory of their own, instead their carrying capacity is simply added to your own character inventory. Not only is it convenient, but increased bag space is very helpful to have when adventuring considering how many different crafting materials and items you come across. You gain increased carrying capacity only from your active horse. All horses have a total of 49 points you can distribute to either of these three stats, which is added to their base stats. Meaning, even if you feed your Common horse with apples to increase its speed it can never be as fast as a Light horse can. Horses can be fed once every 20 hours with either apples, hay or oats. Feeding a horse costs 250 gold every time, but increases some of its stats depending on which food type you’re feeding them with. Apple increases their movement speed by 1%, hay increases stamina and oats increase your horse’s carry capacity. The most useful food are definitely apples, as movement speed is highly valued for mounts, especially for players engaging in Cyrodiil. For leveling you may want to consider feeding your horse oats, at least occasionally. The increased carrying capacity can be very helpful when questing for awhile, and even 5-10 more inventory slots can ensure you don’t have to make frequent trips to vendors. Tip: Light Horse will always be the fastest of all horses if you only feed it with Apples for speed. Speed is especially important for Cyrodiil, so make sure you ONLY feed apples to your light horse. For leveling and farming use a Draft or the cheap Imperial horse and keep feeding them oats for increased inventory space. 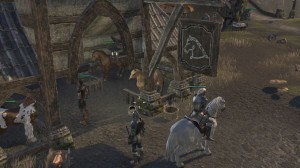 You can own multiple horses and switch your active one to Light when you go into Cyrodiil. Important to note is that each horse you own has its own separate cooldown for feeding, and bonuses from feeding them don’t transfer from one horse to another. Any stables in the world will sell you horses, and they can be found in nearly every area of the game. You can view all the mounts you own when at stables, set your active horse there as well as rename and feed them. If you can’t find stables simply open your map and check the map icons in the nearest town or village. Stables are typically located on the outskirts of towns, and indicated on the map by an icon resembling a horse’s head. While there’s nothing groundbreaking concerning mounts in The Elder Scrolls Online, it was worthwhile mentioning the basics of them. If you pre-ordered the game and have access to Imperial Horse you surely won’t regret it as it will save you a lot of time leveling early on. If you don’t have an Imperial Horse, the cheapest Light Horse will set you back by 17,200 gold, which you should have by the time you hit level 25. If you have any other questions or comments about mounts be sure to voice them in the comments below! Published 1870 days ago This entry was posted in Game Info and tagged mounts, transportation, traveling. Bookmark the permalink. If I bought the Imperial version of the game would I have access to the white horse with any char I have or is it only if I play as a imperial char ? Yes, all characters on your account can use the imperial horse, doesn’t matter which race you pick. I’m sure some other mount types are planned, especially guar since there are models of them with saddles already. But I completely agree, horses are pretty boring and I hope there will be more variety soon. When you get a horse, Do you get it on all characters? Or do you need to buy it on each character? It’s only available on the character you purchase it on. I’m not sure if the same applies to the horse you can buy on the official site for real money. Haven’t bought it myself so I don’t know, but I’m guessing it’s similar to Imperial Horse which costs 1 gold, so you can easily purchase it on all of your characters. Bought a horse, where is it? 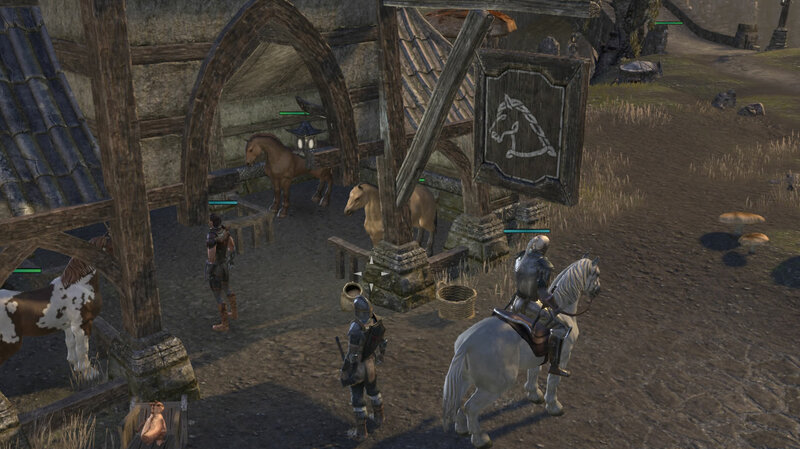 You can set your active mount at any stables in the game (check under “Where to buy horses?” above). Can you feed mounts purchased in the Crown Store?